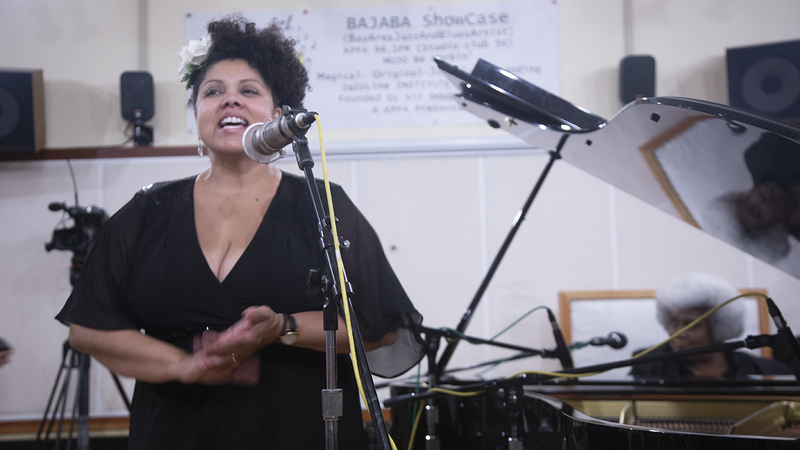 It was very moving to see my friend, legendary jazz singer Kim Nalley, being joined onstage by her grandmother, affectionately known by Kim as Gammy, in Le Colonial, San Francisco. 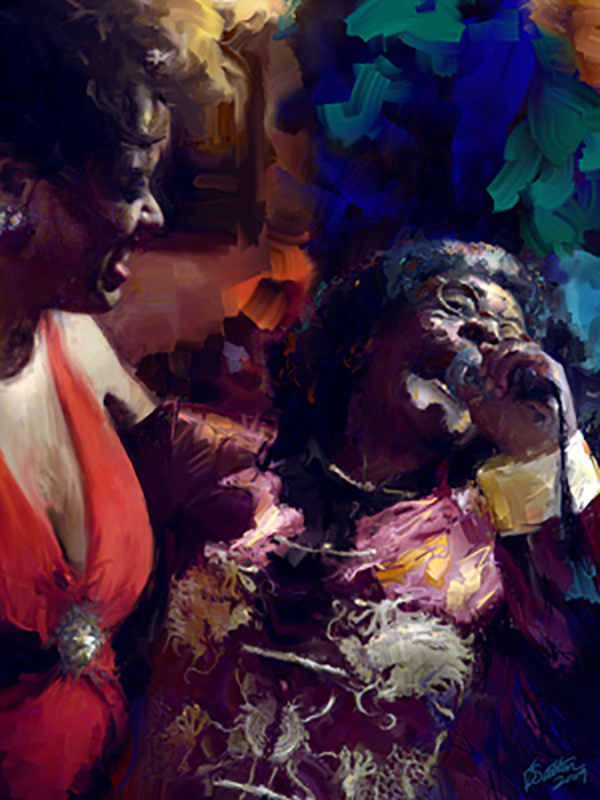 I used one of the photos I took of the special performance as reference to create this painting (above) of that precious creative moment in which love, passion, family and music spanned across generations in powerful synergy. Sadly Gammy passed away and Kim asked me for this painting to show at her funeral service. 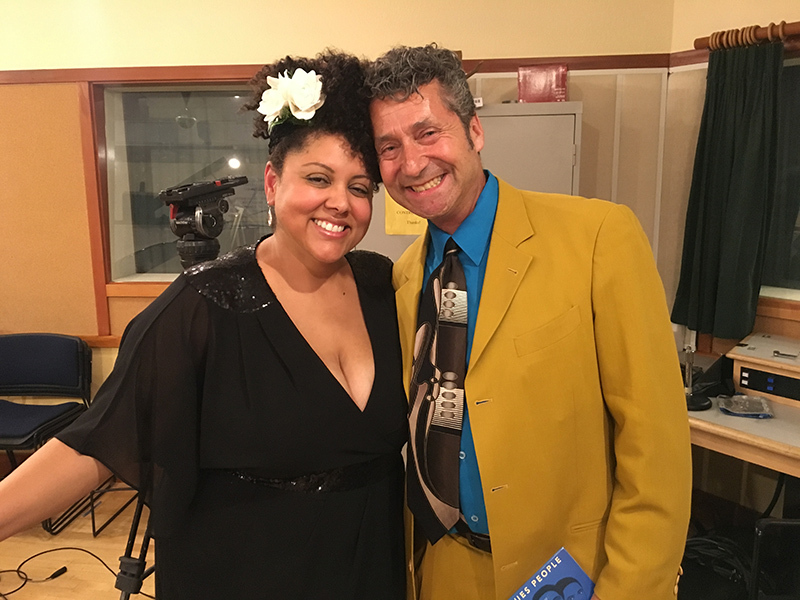 More recently I attended a very special live session with Kim on vocals and Tammy Hall on piano at the KPFA studios (“BAJABA ShowCase” where BAJABA is an acronym for “Bay Area Jazz And Blues Artist”) when Kim received the BAJABA Maisha Ya Kaza Bora Award (“Maisha Ya Kaza Bora” is Swahili which means “Good Work for Life” or the equivalent of “Lifetime Achievement”). 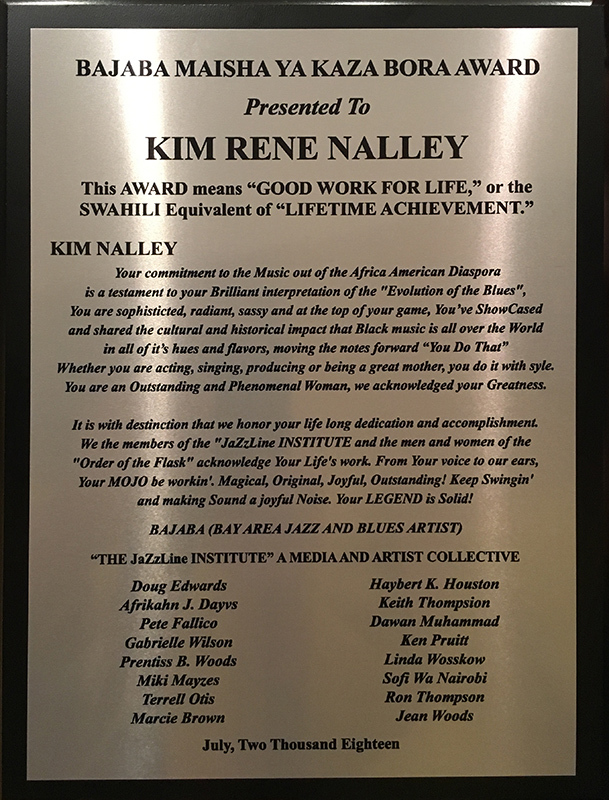 Congratulations, Kim!! Here (below) is a video of her warming up before the performance with a beautiful rendition of the classic “Shiny Stockings”.